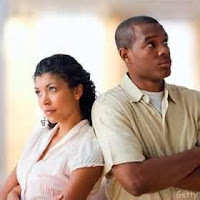 Covenant Relationships: Don't go through my phone messages even though we are married. Don't go through my phone messages even though we are married. I find it very interesting when I hear a man say that his mobile phone is his property and his wife is not allowed to go through his messages. Equally interesting also is when I hear women say that they do not want to go through their husbands' phones because they do not want to see any incriminating love messages from other women. It really freaks me out. A man and woman can share a bed, make love but cannot read each other's phone messages. I have been married for 14 years and for as long as mobile phones came into existence, my wife goes through my phone messages when she is idle. She says that "I have a more interesting life" and we generally joke about whatever she sees on my phone. She even sees the SMS bank alerts on my phone too. This means she basically knows my bank account balances and also sees messages from my friends - male or female. Between us, there is nothing hidden. Why would I want to hide information from the woman I have chosen to live my life with? Why would I want to hide information form the woman that is the mother of my children? To me, it just doesn't make sense. On the other hand, if I am having an extra-marital affair or I do not trust my wife with my bank information, I would be scared to leave my phone just lying around for my wife to read my messages. Then I would always panic if I hear my phone ringing somewhere in the house and I am not near it. What a way to live. Marriage is a covenant relationship between two people in the eyes of God and witnesses. Nothing is supposed to be hidden between the marriage partners. Now if your spouse does not want you to go through his phone or you are scared that you might find incriminating evidence, I think you should pray about this and discuss with your spouse. Please note that you should NOT forcefully grab your spouse's phone and insist that you go through his messages. Just pray and discuss. Let him or her willingly allow you to go through. If he is having an affair, You will need to deal with this the Christian way. Pray and discuss. If he does not trust you with his bank information, thinking that you might start asking for money to spend lavishly, then you should also pray and discuss with him. It may take some time to break this habit because it can be done. Work towards making this change in your marriage. It can be better. Where a couple is unable to exchange phones -there obviously is lack of trust which must be dealt with quickly as this could lead to overwhelming eruptions later. We have left... To cleave as married people. Let us indeed then cleave!